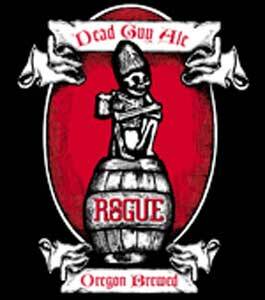 Rogue’s Dead Guy Ale is the brewery’s most popular beer, accounting for 40% of their total sales. The beer was created to celebrate the Mayan Day of the Dead, and it is modeled in the style of a German Maibock. Poured into a glass, the Dead Guy Ale has a hazy amber look to it (or “deep honey” as labeled by the brewers themselves). Upon tasting, I noticed a strong sense of caramel and a hint of berries underneath. The lingering taste was slightly bitter, yet sweet. Dead Guy Ale is an easily drinkable beer, and will go down quickly. There is a reason this is Rogue’s flagship beer, and it is good to see it getting respect across the nation. I have yet to dig into the rest of the brewery’s catalog, but I will certainly be making an effort to do so after this. Had this for the first time recently, always figured it to be a beer that would put hair on your chest, but it was surprisingly awesome. One of the better brew surprises I’ve had in a while.